CRTC upholds the idea of "Honest management and sustainable development" and the spirit of "Aggressiveness, enthusiasm, innovation, and devotion," regards "Being the best companion of clients, the honor of employees, the vanguard of technology, and pillars of society" as its obligation. 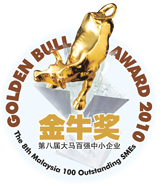 It is dedicated to becoming the most representative omnibearing technology service company in the world. Foundation in 1994, with the attitude of "satisfying clients with innovate services," we follow the industrial trend of Greater China Region, cooperate with world-famous manufacturers, introduce and develope prospective materials, equipments, and technologies, provide high added value services, and promote the internationalization aggressively. We have established subsidiaries in important cities in Greater China Region and Southeast(Northeast) Asia to strengthen the relationship with suppliers and clients, and have been devoted to becoming the B2B platforms of the most representative industries (materials, device, and technology) in the Asia. It is the mission of CRTC and our staff to understand the needs of clients and market trend, integrate international manufacturers, develop new technologies, and provide clients with prospective materials, equipment, and technologies. With the mission of "The success of clients is the success of CRTC", we strive to help clients become the leaders of the market. To assist our clients in developing their careers with innovative services. To provide clients with omnibearing services, meet their different market needs, and help them stepping toward the globalization in the changing market of the world. CITC is the role model of company with good reputation. 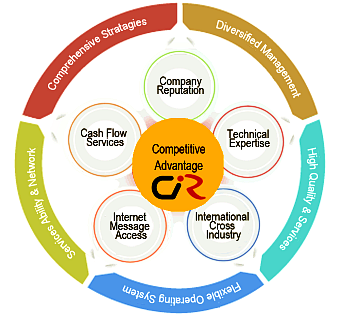 Services provided to customer are competitive in the market and rich in content. CITC also provide professional services such as international cross industry, technical expertise, communication messages and network service, and cash flow service. Electronic, Plastic, Plastic Processing, photoelectronic and biotechnology (bio-environment). Provide high quality materials, equipments, immediate maintenance service, and techinical support, assisting manufacturers in reducing overheads and manufacturing cost, and meet clients'needs of cost-down. Externally: Obtain business opportunities via distributorship, joint venture, and cooperation. Internally: Flexible organizational norms suitable for the operation of different business. We have professional technical talents of business savvy and global perspective, and we have established subsidiaries in important industrial cities in Taiwan, Mainlan China, Malaysia, and Thailand, Japan, etc. Create new products and business opportunities by combining the technology and information of suppliers with the needs of clients; increase the functions of supply chain and provide differentiated services to offer added value and earning power, and enchance the dependance of clients.